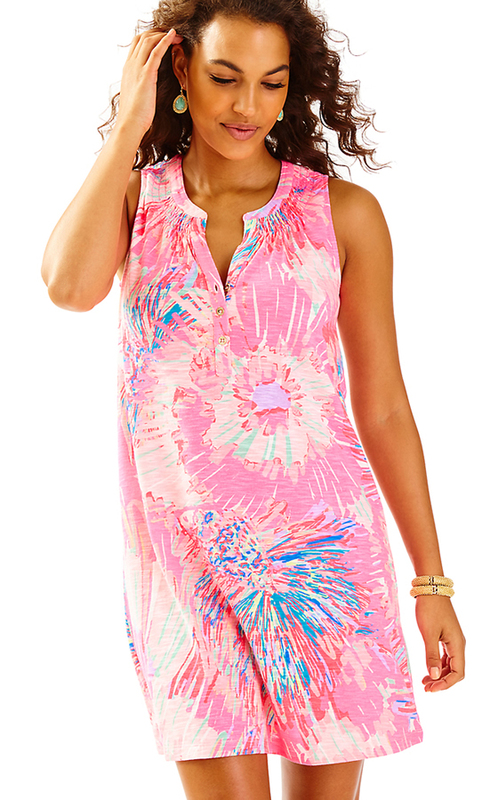 Sew Cute: Lilly Pulitzer After Party Sale Summer 2017 HAUL! 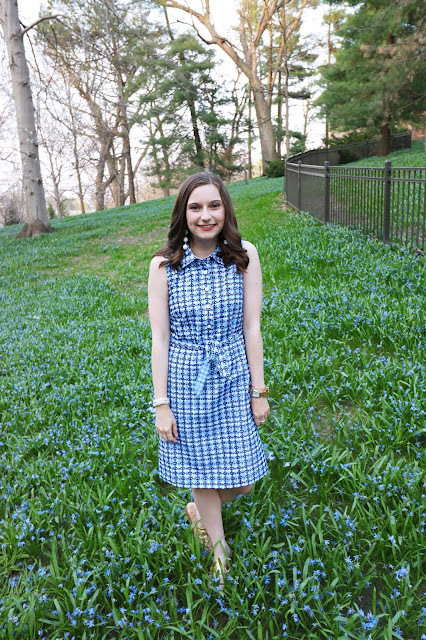 Lilly season is upon us and I'm breaking down everything I picked up from the Lilly sale. Per usual I went way over board (Are we really surprised? No.). But, this sale was legit the best sale yet. I know, I know, every blogger says that every year. It's like Chris Harrison saying it will be the most dramatic season of the Bachelorette every. single. year. But, I do mean it this time. This sale was amazing! So let me break down what I purchased from this years sale! First things first, my purchases from the in-store pre-sale event! Thank the heavens that I have a Lilly store only 30min from my house. Being from the Midwest I do not take that for granted! Our store in the Chicago suburbs is basically the only true Lilly corporate store in the Midwest. So I was super excited to head to my favorite store for their pre-sale event. I arrived at the mall around noon to get lunch for a friend and there was already two ladies standing in the roped off line. Let me remind you the sale started at 3, so I though that was a little dramatic. So, I didn't think anything of it. My friend ate and walked around a bit and I saw a line forming. We headed to a store, but I decided I should get in line while it wasn't to bad. I came back and quite the line had formed, but I wasn't too far back. I bonded with the other Lilly lovers in line and we all chatted on what we wanted to purchase. It's fun seeing so many Lilly fans in Chicago. Usually I'm a lone wolf wearing Lilly it feels like, so it was fun chatting with people! They let us in at 3pm, but cut off the line right in front of me! UGH! We had to watch everyone frantically run around the store grabbing DOZENS of dresses. We all lost hope as we saw our dreams crushed in front of our eyes. Okay I wasn't that worried, but these women were taking buckets full of items. Then the manager grabbed a few of us and we were ushered into the store. YES! We are in! I saw this dress from the window and it's the first thing I went for! I LOVED this print when it first came out, but I resisted because I was holding out for the sale. And boy I'm glad I did! I scored this dress for a major discount and I'm obsessed with this purple print. I got an Elsa top at a previous sale and I love it, so I knew I had to pick up another one. This dress is super cute and easy. I will say the print is more fluorescent then in the photo, so if you decide to pick it up that is something to note! I have a ton of dresses in similar styles and I wear them all the time. Three quarter sleeves are always a good idea, at least for me because I'm always cold. These dresses are so easy to wear and perfect for everyday! Back with the Rock the Dock print.... I picked it up in this pair of shorts as well! 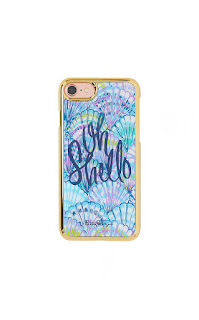 I was feeling a new phone case coming along and I love this one! 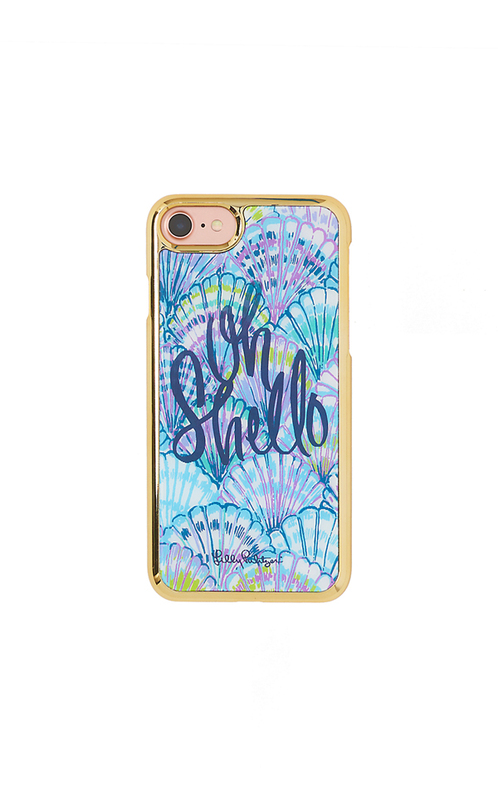 This Oh Shello print is another favorite of mine! Any print with purple is a go-to for me. My goal for this Lilly sale was to find some neutral tops to wear for work and with printed bottoms. So I picked up this off the shoulder Elsa top as well as the top below. 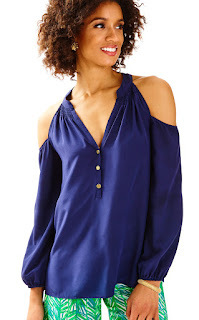 This top will be perfect to wear to work, either with skirts or a pair of chinos. 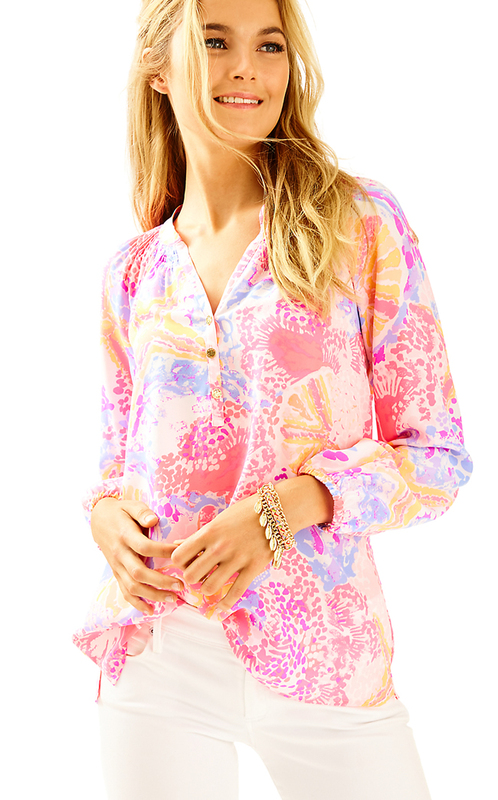 What did you pick up from the Lilly After Party Sale? Let me know in the comments below!